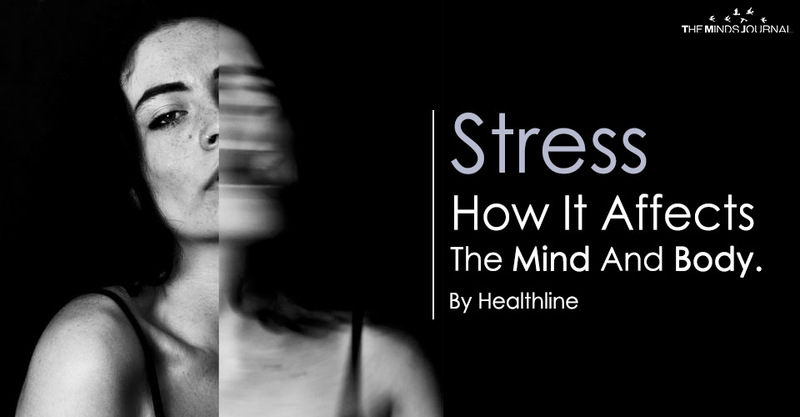 When your body thinks it is under threat, stress triggers your fight or flight response. This response means you either prepare to fight the stress or challenge or move away from it. After your body has registered this response, you’ll usually settle back into a calm state. But what if you don’t find calm again and stress becomes a constant part of your life? It’s important to note that not all stress is bad but too much of the wrong kinds of stress can have a negative effect on your mind and body. Stress is a biological response that was helpful to our ancestors who had to hunt and gather in order to survive. To our ancestors, the body’s fight or flight response would have helped them avoid being harmed while they hunted for food or felt threatened. In today’s modern world stress can also help protect us. Although the situations where we experience stress are much different to what our ancestors experienced, the biological response is the same. For example, your body’s fight or flight response when stressed could help you avoid a car accident, get you through a challenging workout or even help you work effectively when you’re quickly approaching a deadline. The kind of stress that stimulates your body’s fight or flight response without causing long-lasting health risks, while bringing a sense of fulfillment to your life, is referred to as eustress. Distress, in contrast, can cause extreme anxiety and sorrow well after the body’s initial flight or fight response. As humans we do need some form of mental and physical stimulation to progress and move forward. Interestingly, distress can also be caused by a lack of mental and physical stimulation, for example, being in an unfulfilling job that isn’t mentally challenging. A recent study by the American Psychological Association found that 80% of Americans said they had at least one symptom of stress within the last month. In the same study, 20% of people said they were under extreme stress. So, if you feel stressed from time to time, it’s important to remember that you’re not alone. The important thing to recognise is how quickly your body recovers from its fight or flight response. How does stress effect the body? Tension headaches triggered or intensified by stress. An increased chance of feeling down or depressed. Heartburn as a result of the increase in stomach acid that comes with stress. Insomnia when stress makes it difficult to fall and stay asleep. A weak immune system making it difficult to fight off colds and infections. Stomach pain if you have poor digestion as a result of stress. Fertility problems in men and women. Muscle soreness and tenderness as a result of muscle tension. What could be stressful for one person, may not be stressful for another. If you feel like you’re unable to manage small tasks or challenges without getting stressed, you could talk to a trusted friend or health professional about using some strategies to stay calm. Some of these strategies may include breathing exercises or writing down your problems so you can logically figure out how to move forward through challenges.